We’re all tired of telemarketers calling about home improvements at meal time. Now they’re calling our cell phones too. But there is one call we all love to receive – a thank you call! We’re taught from an early age the importance of saying thank you. We send thank-you notes when we receive gifts or to recognize a friend or relative’s help. But in the last day or so I’ve heard a number of examples of how a thank you call can make a powerful impact on donors and members. So it appears a thank you call can make a huge difference when it comes to donor retention. And if, like many non-profits, your organization is struggling to keep donors active, perhaps it’s time to revisit your thank you calling strategy. As Pamela Grow notes, “the daily practice of thank you calls goes a long way towards instilling an organizational attitude of gratitude that’s downright contagious.” But if your small non-profit is time and resource-strapped, perhaps you should consider a regular “thank-a-thon” where your board members and other volunteers sit down and make thank you calls to the most recent donors. What if you don’t have their phone number? But it’s not just donors who welcome a thank you call. In a recent interview, Nicole Walters, a program manager at the San Diego Venture Group, told us that even though her organization sends out an email to welcome new members, she also makes a phone call to personally thank and welcome every new member that joins her non-profit. After all, joining an association or supporting a non-profit is a personal commitment. So hearing a personal, welcoming thank you may make the difference between getting involved and attending an upcoming meeting, or visiting a non-profit’s website to offer additional support. 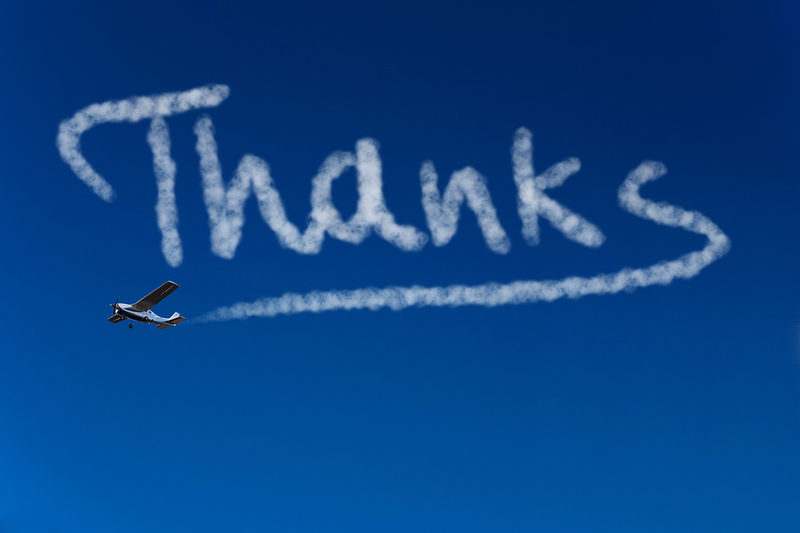 Does your non-profit or association make thank you calls? Share your thoughts in the comments below.